IPBC Shenzhen is just wrapping up here at the Grant Hyatt Hotel. Here are some of the highlights from a day packed with interesting discussions featuring China's top tech companies and some of their biggest global counterparts. Gilbert Wu of MiiCs kicked off the day with summary of how the transactions firm with close ties to Foxconn sees the state of the patent market. Wu noted that the United States is still responsible for much of the global investment in intellectual property, but China is catching up as firms from the country are now the third biggest group of US patent assignees. As far as external acquisitions go, Chinese companies in the ICT and semiconductor fields are the most active patent buyers, Wu added. 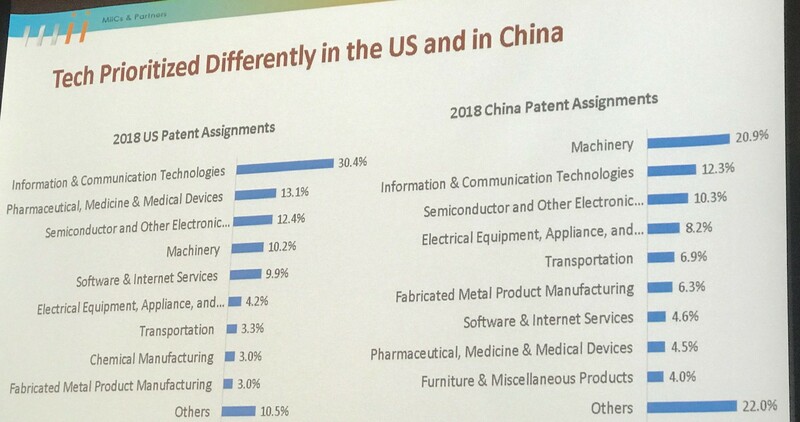 ICT patents make up close to a third of all US patent assignments, but just 12% in China where they lag machinery-related rights significantly. Pharmaceuticals, the second biggest category in the United States, lag far behind among Chinese industries. The figures partly reflect the different industrial mix of the two countries, and might offer clues on what lies ahead for China’s patent market as its economy matures. AT&T has become one of the most prominent players in the patent transactions market in recent years, dealing rights to buyers including Lyft, Facebook, Google and Huawei. 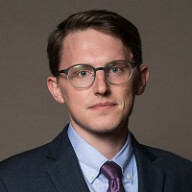 But the company’s vice president for IP, Joe Sommer, cautioned Chinese companies in attendance not to view secondary market patent acquisitions as a substitute for building a culture of innovation. Sommer outlined some of the programmes AT&T has in place to maintain an innovative culture that keeps the products of its R&D in demand for years to come, including ‘visionary’ filing sessions in which experts think about what a business will look like in 20 years and ‘foundries’ in which the telecom works with vendors and other partners on developing new technologies in specific fields like fintech or medicine. In 2016, China’s search engine giant Baidu declared that it is transforming itself from an internet company to an artificial intelligence company. What does this mean for the firm’s IP function? Senior patent counsel Jia Meng was on hand to explain. First, Jia explained how Baidu’s products are likely to change. Its core web search product has been based around various software innovations. Moving into the AI space, the company will be increasingly focused on areas like natural language processing and image recognition. It will also be pulled increasingly into the hardware space, whether it’s AI chips or autonomous vehicles. As Jia points out: “In the past, there hasn’t been much infringement litigation between internet companies because the software innovation was pretty much at the back end, and it was hard to get evidence of infringement.” But that could change for Baidu, particularly as it comes out with more hardware products. Baidu’s autonomous vehicle project points to another change – an increasing reliance on open innovation. The company has open sourced the autonomous car code, and is working with 100 partners on the open platform. “We not only risk Baidu infringing a patent, we also have responsibility for protecting the overall ecosystem, which increases the burden on us,” Jia notes. Over-investment in patents is a problem that Chinese companies are becoming increasingly wary of. Changhe Yang, the head of TCL’s IP centre, told IPBC Shenzhen delegates a little bit about how the electronics giant approaches this issue. TCL makes televisions, mobile phones, appliances and a range of other products. Yang explained that as an asset-heavy manufacturing company, it faces two key conditions that impact its IP strategy: high investment and low profits. A high level of investment made the establishment of an IP department a priority for the company, while a relatively low level of profit has meant that the IP team is pushed to monetise assets whenever possible. Over-investment in patents, Yang suggested, can result from a KPI-driven approach to filing. He said if you look at companies’ filing activity you can see which ones operate this way because many of their applications are concentrated in the fourth quarter of each year. Once a portfolio reaches the 10,000+ range, cost escalation can quickly get out of hand. Yang proposed three goals to keep in mind for Chinese companies in the manufacturing sector that want to avoid over-investment in patents. The first is finding a balance between quality and quantity, which Yang admitted is “easier said than done in China”. The second is to institute an evaluation system that makes you continuously re-assess your holdings. Finally, companies should optimize the size of their team and think about how to use external resources better. In many companies, Yang observes, large IP departments have lots of work in certain periods and a relatively light workload in others – this suggests the potential for efficiency gains. Shenzhen-based Huawei has one of the world’s biggest patent portfolios, and its senior counsel for IP transactions and monetisation Ramons Wang was on hand to explain why it still dips into the secondary market from time to time. Wang outlined three main scenarios that lead to patent acquisitions. First, when a company already has its own patents in a certain technology area but wants to bolster its holdings by acquiring rights that may protect a different technological solution to the one developed in house. The second is when a company forays into a new business area and realises it needs a large portfolio to give it a toe hold in the market. Finally there are patents acquired through M&A activity. 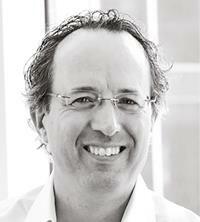 How does a company with a huge portfolio identify potential acquisition targets? Wang says that for Huawei a large part of it is networking, in maintaining contacts with hundreds of different organisations and brokers that allow it to cast a wide net when it decides it needs to go external to fill a patent need. “For us, buying and selling patents is a routine business just like prosecution,” says Wang. “Other companies may buy or sell patents when triggered by a lawsuit or a new business initiative, but for us it’s routine work.” There’s an advantage to operating that way: event-driven buyers tend to pay more.